The theme of our second annual Mental Health Awareness Week was focusing outside of the self and showing gratitude. 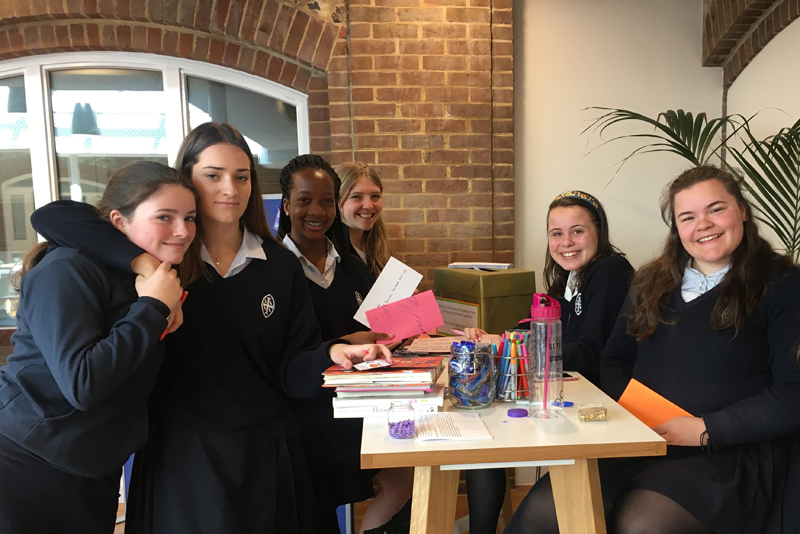 A variety of activities took place throughout the week including, from Ms Fox’s provoking Thought For The Day on happiness to tutor time activities and sending letters of gratitude. In total, nearly 591 letters were written by girls and staff to people who had helped them through a tough time, to somebody that they admire, or to somebody that they simply wanted to give thanks to. These were delivered by our gratitude fairies who Miss Blunt would like to thank as they made her job a whole lot easier, especially with the counting of the letters. We have all been hugely inspired by the amount of attention that mental health and happiness is receiving recently, which is no doubt due to the fabulous work of the Duke and Duchess of Cambridge and Prince Harry. We continue to keep mental health at the heart of our discussions here at Wycombe Abbey and it was lovely to have a week to focus our attention on such an important issue.